This informative guide will tell you everything you need to know to find the perfect air conditioner for your home. Although this review is most relevant to people living in the USA, other readers may still find it useful. Portable and central air units are outside of the scope of this guide. 1. Should I buy an air conditioner? You should consider buying one during the spring "rebate" season if your current unit is old and you are worried about its reliability. A new unit can also be a good idea if your old unit has an 8-EER or less. During the summer, units are expensive and have limited availability. However, if your old AC unit is broken then you have no choice. Most companies have rebates in the March-June timeframe and the new, more efficient models appear in the spring. Although you can get some bargains after the season, a warm summer can leave pretty slim pickings. Don't forget that your warrantee starts on the day you buy it, so buying in the fall effectively shortens the warrantee. 2. What type of air conditioner do I need? Air conditioners come in four main types: window units, through the wall units, portable units and whole house/central air units. Window units come in three main flavors: double-hung windows, sliding windows and casement windows. Window units will usually convert between types with special hardware, which is often included. Small through the wall units will often convert into window units. 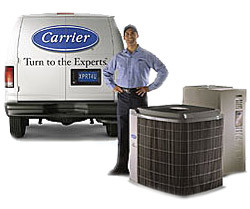 Large through the wall, and central air units usually require professional installation, which adds to the cost. 3. What features do I need? You should expect the unit to have an adjustable thermostat, at least two cooling speeds, two fan speeds and an energy efficient setting, which stops the fan when the unit is not cooling. The unit should have an adjustable vent, which allows you to aim the cool air, and an exhaust vent setting allowing fresh air to be introduced from outside. The filter should be easily accessible for removal and cleaning. You want a manufacturer's warrantee for at least 5 years, with full replacement for at least 1 year. Some of the newer units have an electrostatic filter available either standard or as an option. This filter will remove extremely small particles from the air. This is a super feature for people with allergies. EER or Energy Efficiency Ratio is a measure of how efficient a particular air conditioning unit is. The higher the number, the more efficient the unit and the less it will cost each year to run. Small units currently have a top EER of about 11, while the most efficient large units have an EER of about 13. Don't be fooled by the ranges shown on the yellow tags. The top rated units are often beyond the range. 5. What cooling capacity do I need? Cooling capacity is measured in BTU/hour. (British Thermal Units per Hour) The higher the number, the more powerful the unit is. A small room of 150 square feet may only need a 5000 BTU/Hour unit, whereas a room of 1200 square feet may need a 19,000 BTU/Hour monster. It is important to get a unit as close to the correct capacity as possible. Too small a unit may not be able to cool the room on a hot day. Too large a unit will cost more to operate. It may also cool the room too quickly and leave excessive moisture in the air. 6. How much will it cost to run? The number printed on the yellow tag at the store, about 8.4 cents per kilowatt-hour, is the national average cost for electricity, which for most of us is a fantasy. Try not to laugh too hard when you read it. The better guides will calculate the estimated annual cost for running AC units for you. You need to enter the cost of electricity in your area, so go find your last bill and last summer's bill if you can. The guide will show the annual cost at different EER levels. Print this out and take it to the store with you. 7. How much does my electricity cost? Guess what? Your electricity bill is probably unreadable, I know mine is. Theoretically, you should add the generation cost per kilowatt-hour to the delivery cost per kilowatt-hour to get a true cost. However, many areas charge different rates for different usage and have a surcharge for high usage during summer months. Duh! Don't forget. The national grid is old and needs work. Nuclear power plants are aging too, and will cost a fortune to replace. Oil powered generation will be effected by high oil prices. You can bet money that conventionally generated power is not going to get cheaper. 8. How do I calculate the payback? Start with the EER of your old unit. Subtract 1 from this EER for every 5 years of its age -- more if you never clean it. Use the guide to generate the annual cost for the old unit and for the unit you want to buy. You may have to extrapolate if the figures are beyond the range of your chart. Subtract the two numbers to get the annual savings. Divide the purchase price by the annual savings to get the payback time. If the payback time is lower than the warrantee period, it's like money in the bank. If it is less than double the warrantee period, it is still probably a good buy. You live near Washington DC which has a cooling season of about 600 hours per year and your adjusted electricity cost is about 25 cents per kilowatt-hour. Replacing a 6000 BTU/Hour 6-EER unit with a 5800 BTU/Hour 11 EER unit will save about $60 a year. If you pay $300 for the new unit then you will get your money back in 5 years. 9. Which AC should I buy? You should buy the unit of the correct capacity and type that has the highest EER, if you can afford it. Buying a unit of lower EER that costs less is usually a false economy. However, in areas with very short cooling seasons, or extremely cheap power, a lower cost unit may be a good buy. · Check the unit at on-line rating services like epinions.com. · Use on-line price comparison services to find the going "street" price. · Consult the manufacturer's site for the EER, BTU/Hour and list price. · Check the manufacturer's site for rebates. 10. Where should I buy it? AC units are heavy so it is generally better to buy locally. Make sure the store is an Authorized Dealer or some manufacturers will not honor warrantees and rebates. If you are out in the boonies, consider shopping on-line. Look for companies with free delivery, and make sure you check the store out with rating services like Bizrate.com and Gomez.com. Always use a credit card. If there is a problem, the credit card provider will beat up the store far more effectively than you can. Use your gold or platinum card to "double" the duration of full replacement warrantee -- usually up to an extra year. If the unit requires professional installation, see if the store can recommend someone and factor that cost into your decision. Make sure the installer is licensed and insured. Check with the Better Business Bureau. Very useful tips if someone is looking to buy a new air conditioner. But what should one keep in mind if they are buying a second hand?